← The preinterview: The key to a successful legacy video interview. Looking for some free, archival footage? Here’s one option. World War II bombing runs by B-17s, collecting maple syrup in Quebec, commercials for the Ford Edsel; all of these are examples of historical footage used in past Family Legacy Video® video biographies. There’s an amazing abundance of historical images, both still and moving, from an array of sources, that can help enhance and illuminate the life stories related by family storytellers. A hallmark of Family Legacy Video’s Deluxe Legacy Videos is the use of archival images that lend a “big budget” documentary feel to the productions. Archival images and footage do come with a cost, however. First, there’s the time it takes to research, locate and secure the material. This time alone adds to the cost of video biography. But the footage itself can be pricey. That’s why it’s nice to find a resource for free, public domain footage. One that’s been helpful to me over the years is the Internet Archive. The Internet Archive, a 501(c)(3) non-profit, is a digital online repository of both still and moving images. 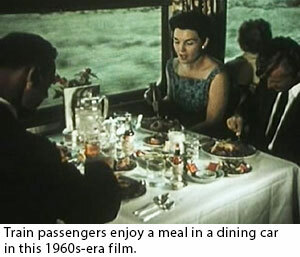 You’ll find lots of old government and promotional films there, many of them in the public domain. Clips are available for download in a variety of formats. Due to compression, the video is not necessarily pristine, but it is free, and if you’re a creative editor you can always find ways to dress it up in post. I’ve found shots in some films at the archive that I couldn’t find anywhere else – and that perfectly fit the bill. So check out the Internet Archive; you may find it a valuable free source of images or just a place to go to watch some really neat old films.